Home > Tips > Cat Head Pressing | Why Do Cats Head Press? Cat head pressing is a sign that something is wrong with your cat. If your cat begins to press their head against a wall without any good reason, you should take all steps necessary to ensure their good health. In almost every case this means involving a professional health specialist. But why do cats head press? When cats press their head, they can be exhibiting signs of disease or injury. Far from the common social behaviors that also involve their heads (i.e. bunting), head pressing is a cause for concern with any owner. What Is Cat Head Pressing and Why Do Cats Head Press? What Is Cat Head Pressing & Why Do Cats Head Press? Cat head pressing is exactly what it sounds like: it is an action where your cat goes to a wall (or similar hard object) and stands with the top of their head pressed against it. This behavior is compulsive, which means that they will do this action repetitively and for no apparent reason. Despite the innocuous-sounding name and symptoms, it is associated with everything from cancer to rabies, and even the earliest signs of it should be taken seriously (1). How Does Cat Head Pressing Differ to Head Butts? Before you get too worried, you should take a moment to recognize that there are other similar behaviors cats exhibit which are not the same. One common behavior similar to cat head pressing is the practice of bunting (2). Bunting (or butting) is a behavior displayed by cats (as well as other animals) that live both indoors and outdoors. Due to the fact they have scent glands on their cheeks, cats will often interact with their environment face-first. This is normal. This means that they are rubbing themselves on things, whether it be furniture, a fence, or even their owner, to create a familiar smell and thus ‘mark’ an object with it (3). Cats will often also perform bunting on an already marked area in order to familiarize themselves with an environment. Bunting, unlike cat head pressing, is not a cause for concern and is actually a healthy example of your cat interacting with the world. It is important when talking about cat head pressing to not get the two confused! 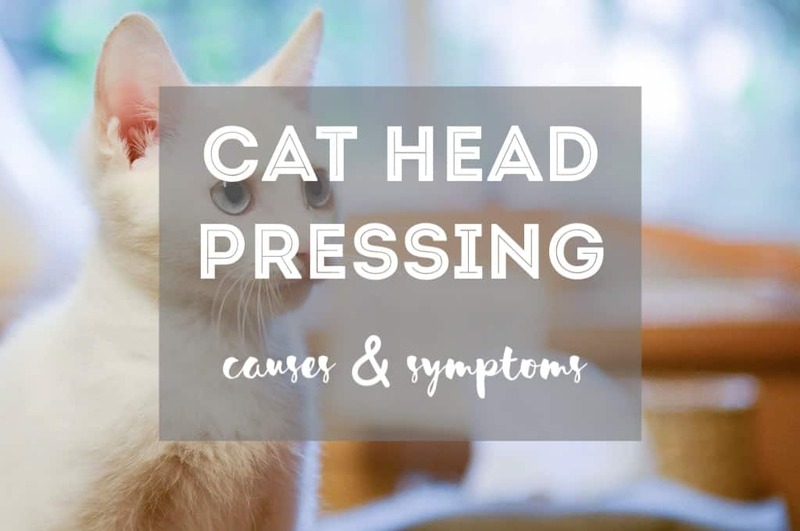 What Are the Health Issues Associated with Cat Head Pressing? 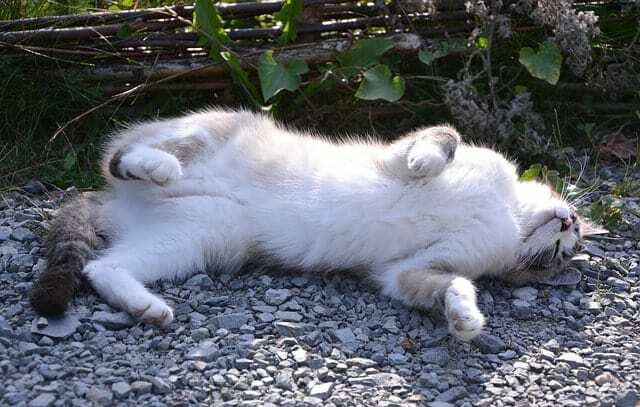 If your cat is displaying signs of pressing and not just bunting/butting in an affectionate way, there are a number of different health complaints which could be at the root cause (4). 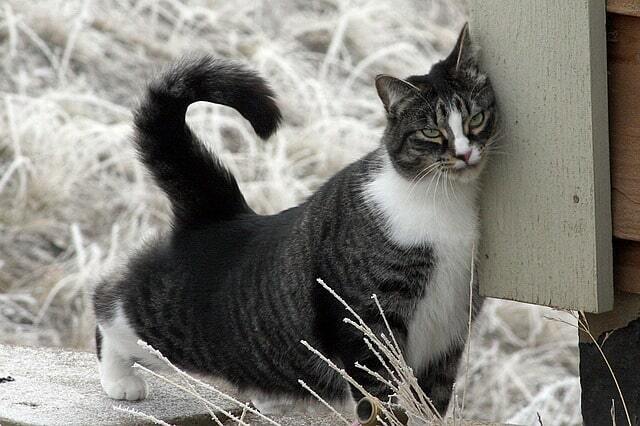 Toxicity in the liver can cause a number of issues for cats that may be more apparent than simple head pressing (5). If a cat’s liver is not functioning properly, it will not filter out (detoxify) any chemicals or drugs in the body. This means that toxins are free to enter the bloodstream and cause poisoning. This can be fatal. This may also be caused by a portosystemic shunt, otherwise known as a ‘liver shunt’, where the body bypasses the liver entirely in handling chemicals and toxins. The result is more or less the same; these toxins build up in the body and then begin to affect the normal functioning of the brain cells. All of this can eventually lead to head pressing. Perhaps one of the most upsetting causes on the list, a cat may be pressing their head to relieve pressure from a tumor. Brain tumors should be taken incredibly seriously and treated by professionals. If not a tumor, they may also be suffering from prosencephalon disease, in which the forebrain and thalamus parts of the brain are damaged. They may also have encephalitis or an inflammation of the brain. Hydrocephalus is also a concern. Literally ‘water on the brain’, this is a build-up of fluids that causes an increase in pressure in the brain and is associated with other symptoms, such as blindness and behavioral changes (6). Nervous system infections include things like rabies or fungal infections. In this instance, it is crucial to figure out if they have been attacked or contracted this from somewhere as quickly as possible. It can also be a case that your cat has contracted a parasite or a bacterial infection, so you should look for environmental factors which may be key. Above all else, a cat may be head pressing because they have suffered some sort of direct trauma. This may include having been hit by a car, or falling and landing on their head. You cat may also have suffered or been suffering from a stroke. This happens when there is an issue with blood supply to the brain (7). Either your cat will have too much blood supply (ischemic) or too little (hemorrhagic) and will suffer a stroke as a result. The additional pressure on their brain will lead to them head pressing. This may all sound scary, and as a responsible cat owner, you have to take this seriously. Make sure to get your kitty to the vet asap. As we have seen, cat head pressing can be caused by a number of different things. 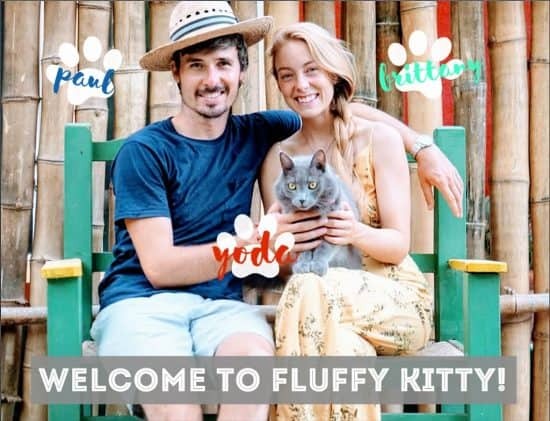 Most important for you is to identify if it is indeed cat head pressing (and not the normal social behavior of cat head bunting), and then take your cat to the vet. If they have been attacked, or bitten by a tick (or something similar) recently you may see wounds or scars; this may make it a nervous system-related issue. If they have been in an accident, it’s more likely due to head trauma. Bottom line: the best thing you can do for your cat is get them to a vet. 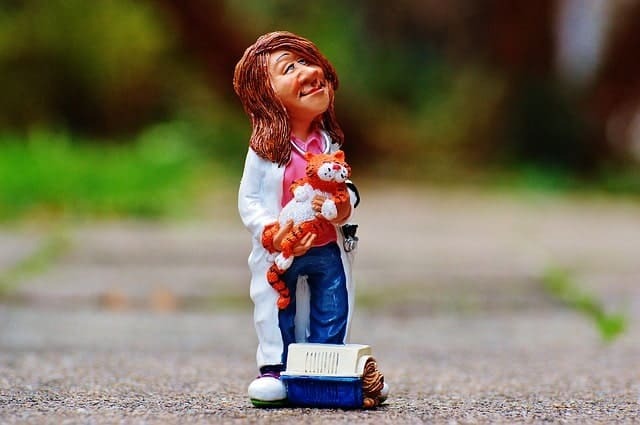 The advice/research above should only be used to recognize the signs so that you can get them to a licensed professional as quickly as possible. 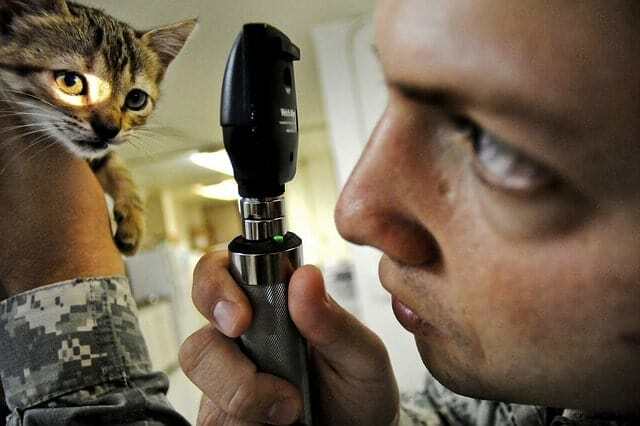 A trained vet will be able to recommend treatment (we do not claim to be vets!). It may look cute at first, but cat head pressing should not be confused with head bunting/butting. As we have seen, head pressing is a gateway to a more serious underlying condition. Whatever has happened, cat head pressing should be taken seriously and dealt with professionally at the earliest opportunity. Once your cat is all better, they can get back to bunting you instead, which is a lot less troubling and a lot cuter!